Traveling can often feel like a workout itself. The exhaustion of traveling leaves you with a similar buzz as exercising. Vacations and travel adventures are often filled with active excursions – maybe you’re surfing or hiking – but there is often more downtime than you may think, too. And maybe instead of having that first beer at 4 pm you decide to practice yoga or workout instead. But, how? Get creative with it! Here are some ideas. 1) Challenge yourself to bring at least 1 lightweight exercise prop with you – a travel yoga mat, a resistance band, inflatable weights – and challenge yourself to use it as often as possible. Because why else would you bring it, if you’re not going to put it to use? 2) Whatever your workout focus is – whether it’s yoga, running, weights or something else – try taking it somewhere unconventional. You might find people may even want to join you, or maybe you find yourself solo, running down the side of a volcano. Try the beach, a park or a common area at your hostel. The world is your oyster. 3) Teach a class somewhere. You could teach classes in exchange for accommodation at a hostel, or set up a workshop at a gym or yoga studio. This way you get some exercise AND get to share with others! 5) Find a buddy! Buddies are fun and can hold you accountable. 6) Look for free and/or donation based yoga classes. These can often be found searching online or talking to locals once you arrive. 7) Get a daily gym pass, or sign up for a membership if you’re going to be settled somewhere for a while. The way to stay fit while traveling is to be passionate about it. It’s a lifestyle. Traveling is often about pushing yourself. Not only to try new things but also to retain a sense of yourself. If staying fit is important, you will find yourself going to extremes to make it happen. 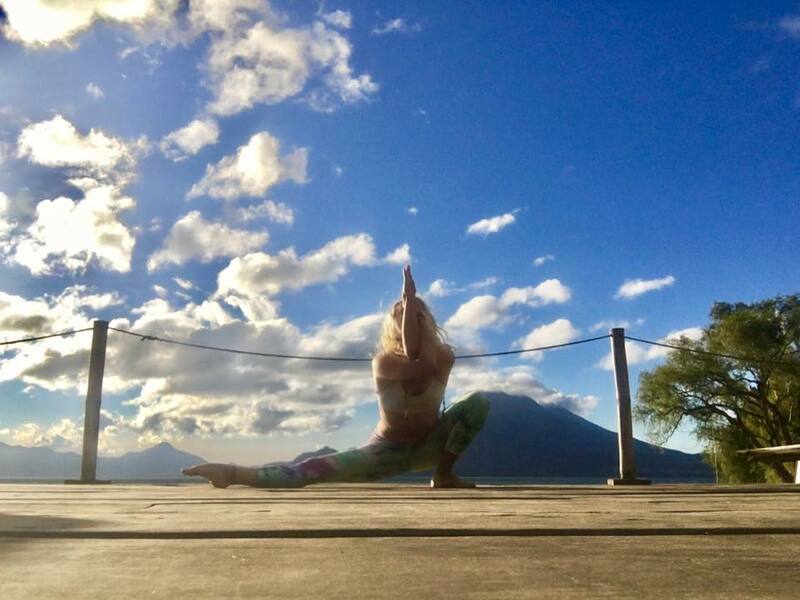 You may find yourself dripping sweat in a hot yoga class the day after a night of drinking and a 5 am flight that you almost missed, or biking on an island in the hot Nicaraguan sun for 45 minutes just to swim in a volcanic freshwater spring. There are numerous activities you can do that are exercise in and of themselves, but having a regular workout practice will keep you fit and feeling good during any challenging excursion. Traveling and exercising is certainly a balancing act, and it is possible to balance both with just a little effort! Comment below with your favorite workout when you’re on the road! Great suggestions I love your writing. It comes from invaluable experience. Love the tips! It can be difficult to find a workout routine when traveling, but you name a couple great creative examples that make it sound easy. Thank you!